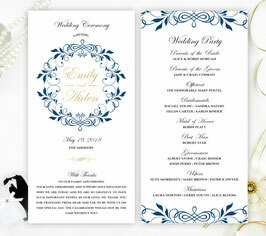 Capture the mood of your sophisticated wedding with our Elegant Wedding Programs. 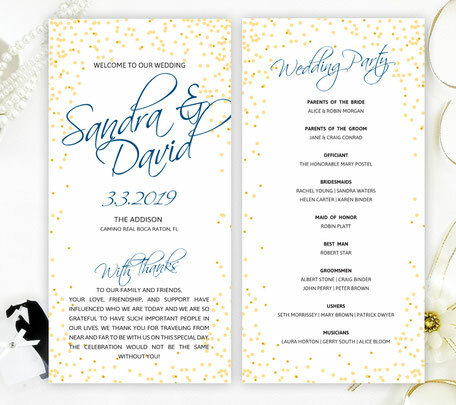 These programs will display the order of your wedding ceremony, a short thank you and the names of your wedding party. 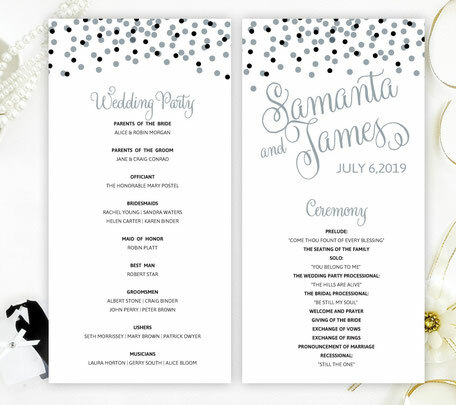 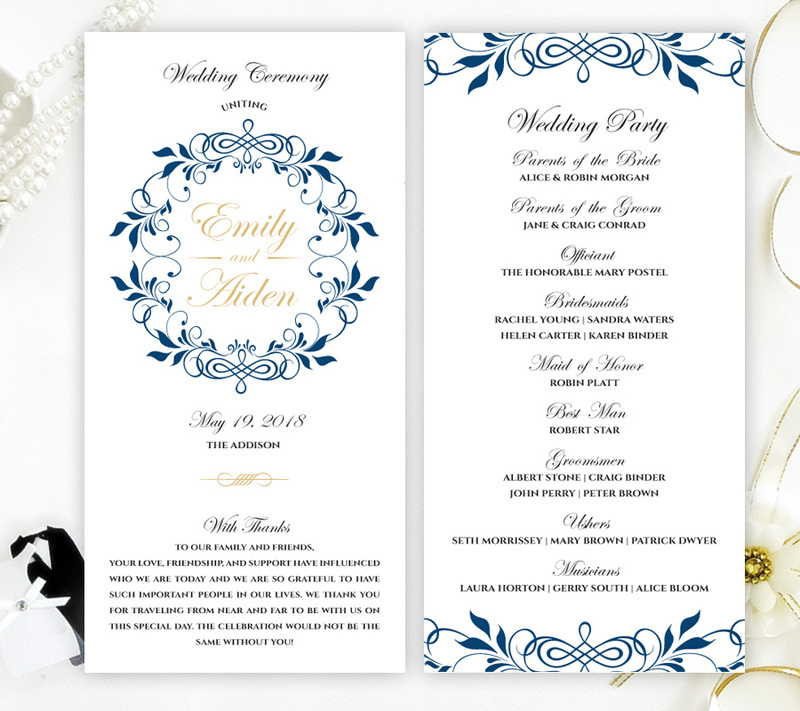 All of our elegant programs are printed on premium card stock.